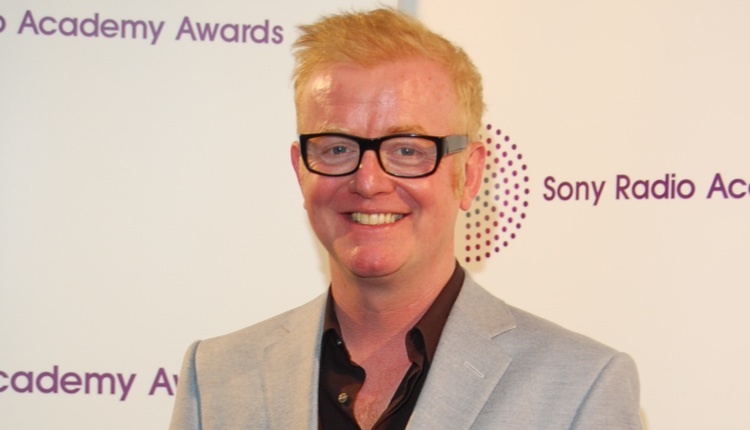 The new Chris Evans Breakfast Show on Virgin Radio will include most of the team currently working on his show at BBC Radio 2. Radio 2’s guest booker John Dutton will continue to be responsible for booking all of the guests on the show and Rachel Horne will be expanding her role as the breakfast show travel guru – providing regular news bulletins as well. Ellie Davis will lead the show as Executive Producer, having previously held the position of Producer for the outgoing Radio 2 show since August 2015, whilst producer Meera Depala will also take up her place on the team following her three-year tenure at BBC Radio 2. The current presenters of the Virgin Radio Breakfast Show, Sam and Amy, will also take up their new posts from January. Sam will be presenting early breakfast, Monday – Friday 4am – 6:30am, and Amy will be presenting the late show, Sunday – Thursday 10pm- 1am. Excellent news. For Radio 2. I’m sure they will be able to find someone to pick up the phone and invite the odd guest to appear and a traffic news presenter who can actually pronounce the place names would be a bonus. It should also be possible to find someone who can read the sports news without having to be a personal friend of the presenter. Having a presenter who doesn’t have an ego requiring them to be surrounded by “his team” would be good too. interruptions. Chris, When interviewing guests your listeners would like to hear their answers …not your assumed interuption! I’m unable to pick up virgin radio on my dab as I would tune in to listen to them, I’ve tried & tried but nothing. The show is great as is is. I’m glad they are all going with him. I just wish digital radio has better uk coverage so I can listen in my truck. Radio 2 is not going to be the same without them and Simon. Such a shame. Is Moyra staying or going? Thank heavens the gang are all going! Pity Moira Stewart who is quintessential R.P. one moment and then s squealing ‘soul/jaaazzz mama’ the next, isn’t jogging on too. Vassos is growing his ego to match Evans. Shame they don’t run and not turn back! Looking forward to hearing a fresh start, albeit from another BBC favourite. Where is all the new talent? Thank God no more tarzen calls. Hope Moira still remains part of the show. Fantastic! All the more reason to follow Chris and the gang to Virgin!! Fantastic! All the more reason to follow Chris to Virgin! I shall not be moving over. Chris is good but my dial with stay ware it is. Hi. Could someone please confirm if vassos is into running? Only I listen to the Chris Evans show occasionally and I’m not sure if he has ever mentioned the fact that he ever partakes in said sport! I have listened to Radio 2 Breakfast Show for many years . I am so pleased that there will be a change soon . I will continue to listen to Radio 2 and certainly wont switch over to Virgin to follow Evans and Co . I think personally hes making a big mistake moving . Good luck to Chris and his Team Though . Well I’ll be re-tuning our radio to Virgin, the minute their new show starts! Great to hear that Chris’s team will go with him! Maybe they’ll convince Moira to join them later… I love listening to their current show and think Chris has done a brilliant job of Fundraising for Children in Need, just as Sir Terry did. Good luck to them! I am sad to hear that Chris is leaving radio 2 but am pleased he is taking his team with him as they are a joy to listen to every morning, especially Vassos. I think him and Chris have a great connection. My only issue is I wonder what kind of music they will play on Virgin as Radio 2 play the older stuff which I prefer. Not sure about music on Virgin though. I will definitely be switching stations in the morning to listen to the new show. Quite looking forward to ‘hearing’ the back of all of them! They all have far bigger egos than should be allowed and Evans incessant shouting in the morning is becoming more and more manic as his departure date looms. Monotonous plugging of mediocre talent such as the Spice Girls, which was this weeks hobbyhorse will not be missed either. Hope Zoe Ball is taking note! Why do you listen if you can’t wait to see them leave? I doubt she is! She is more star struck by C rate celebs and bloody twitter than any of them. Looking forward to Zoe Ball on the new Radio 2 Breakfast show it will be a pleasant change. Couldn’t agree more with the comments below. I look forward to listening to Radio 2 again on my way to work in January! It’s been a long time coming! Now they need to sort out Steve Wright, stop him talking over the end of every song and my workd will be a better place! Getting rid of Evans on my morning commute will be akin to evicting a sugar fuelled, hiperactive child from my car. So glad that a girl is to take over, but I would prefer Sara Cox. You can always change the station on your car radio. 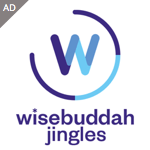 I assume if the show and presenters are so bad someone as told you as you obviously wouldn’t have been listening to it, check out the listening figures and also how much these guys have raised for children in need. I for one will be checking out the virgin radio in the new year I just love to read people’s comments venting about things that they could easily avoid by changing stations, welcome back Mary Whitehouse. Good luck Chris, vassos., Rachel and team. I think you will find there are many more people involved in raising money for Children in Need than this lot. It’s just that this lot’s egos tell you about it all the time. Moira Stuart, you stay where you are, you have and always will have your feet on the ground. Chris Evans however, ?????? Wish Terry Wogan could see the turmoil now 😢. Can’t wait for Drivetime with the fabulously funny and down to earth Sarah Cox! January2019, hurry up! Probably for the best, it’s passed its best now. Gets a bit tiring with all the inane chat / banter. Wish them well on Virgin, I won’t be listening. Will give Zoe Ball a chance, let’s hope she calms down a bit before. No matter what anyone says this will be the biggest loss to radio 2 since the beloved Sir Terry retired! I would have turned in to Sara if she had got the job. Chris’s whole team are great, just when I had started to enjoy the show just as much as Sir Terry’s, it’s over! Please don’t mention Ego Evans in the same breath as the broadcasting legend Terry Wogan. I wish Chris and the team all the best at Virgin. But it’s time for a change on breakfast R2. New faces and voices to make there own name. Will be switching to Virgin with the manic Chris and the rest of the team. Love the show. I’m afraid Zoe Ball does nothing for me. If it had been Sarah Cox – might have tuned in. I can’t blame the team for leaving with Chris. Radio 2 is currently a sinking ship and by being politically correct it’s adding more holes in hull rather than trying to plug them up. Let’s face it , Zoe and Sarah just don’t cut it and with Simon Mayo being forced to leave after the disastrous decision to add a second rate presenter to his show things are not going to get better soon. Good luck to Chris and Simon. The breakfast show unfortunately died when the late great Sir Terry stepped down. Ken Bruce is the kind of presenter that suits that time of the morning radio 2 show, the BBC lost the radio plot years ago. My next car will have DAB, hopefully ! so I can vote with my feet, Radio X here I come 😎 PS I really can’t stand Chris Evans holyer than though attitude, 80% of the country really don’t have very much money with an even bigger percentage not living on the outskirts of London, Virgin listeners will at least understand his references to Ascot, Windsor, Henley etc. I will def follow Chris and the team to virgin, I think they just work so well together, Chris has so much energy, and has raised so much for children in need, if so many people are fed up of listening why don’t they listen to an alternative, instead of slagging him off, I reckon Chris should be nominated for new year honours to tell you the truth. I won’t be sorry to see him go. He is so abrasive after the gentle tone that Terry Wogan brought to the timeslot. I will be following Chris and the gang. They always make me smile In a morning when I am feeling down. Watch the Virgin listening figures soar in January! Like Chris or not, he makes morning radio iinteresting and Zoe Ball has the opposite effect. Good luck this that radio 2! Good morning Virgin radio, and thank you keeping my morning listening interesting and funny! Looking forward to listening to Zoe. It’ll be nice to listen to radio 2 in tbe morning again. Will be very interested to see if the audience moves over as well. I will be following Chris and the team to virgin radio..they are a powerhouse for children in need and making instant crazy plans in general…i enjoy the happy start to the day they provide and look forward to the new year with them. I will still listen to other programmes on radio 2. I was surprised to hear Rylan Clark will be taking over Zoe’s saturday show..that to me is really dumbing down he just dosent have that expertise for radio. My favourites are the excellent Johnnie Walker..the hilarious Liza Tarbuck and Jo Whiley in her evening show. Good luck to all presenters in thier new shows ! I hope Moira doesn’t get any ideas about going anywhere else..
Good luck to Chris and the team. You have brightened my mornings and I will be torn who to tune in to as Zoe is great too. Cruel comments hurt and are best thought and not shared. For all of those that didn’t like Chris Evans and his supposedly inane chat, wait until Zoe Ball rocks up on the Breakfast show..She talks so fast the the last sentences come out if her mouth before the 1st ones do! She also never allows interviewees to finish what they are saying! Be grateful for what you have and what you will lose, most of you that don’t like Chris Evans are making judgements on him personally and not on his actual show and what that brings to many listeners across the country! Take a hike Evans you always were a dang numpty glad to see the back of you good riddance to bad phoontang. I didnt even realise that virgin radio still existed. Thought it became Absolute radio 10 years ago. Looking forward ti hearing the lovely Zoe Ball when the ginger man goes. I wont be sorry to hear Chris gone. He is no doubt a talented presenter but his constant shouting and rabbiting on gets on my wick, I often turn over to another station. He was the reason I stopped listening to radio 1! Zoe, please take note, not too much babble from yourself please. Radio X all day long . Delighted to see the back of Evans and Co.Lady V would be no great loss either. All this begs the question what ever happened to the lovely Sarah Kennedy? I stopped listening to the radio in the morning when Chris Evans took over. So now I will return to Radio 2 and see how it goes. I’m still an oldie and miss the king. RIP Terry. Thank goodness Zoe got the job. Good Rachel is going. She is unable to properly pronounce names and directions. The word is bound not bind!! Bring back Lynn. However what will happen Children In Need? Chris has raised amazing amounts for this worthwhile charity.